Southampton had the better team, Manchester United the better player. The player, in fact. 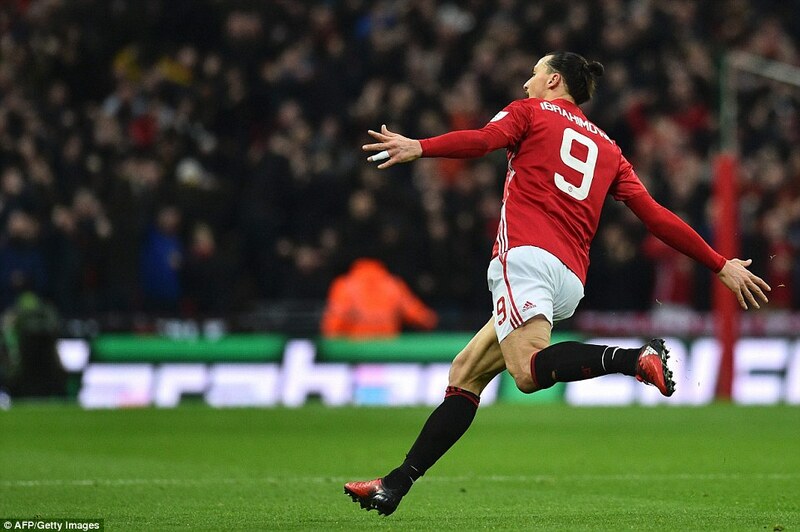 Zlatan Ibrahimovic. The one, the only. This was his cup, as much as theirs. 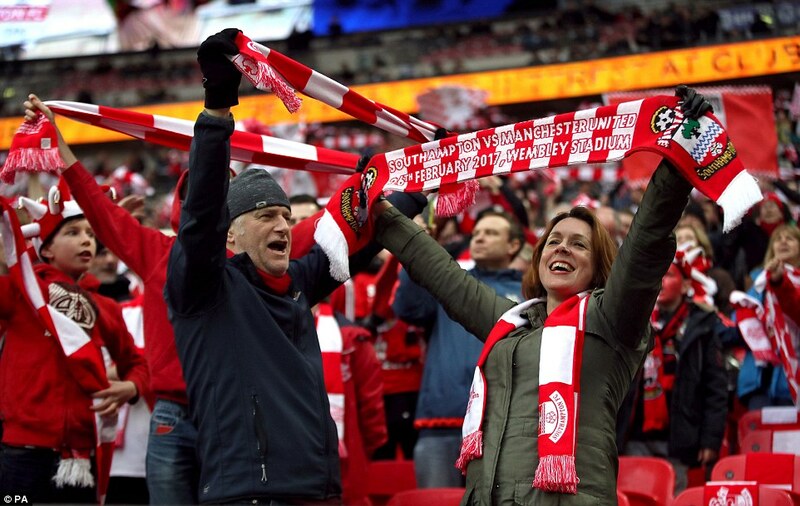 It was a great game and Southampton had the best of it. Yet they were never in front and there was always the danger it would end in tears. Why? That man. 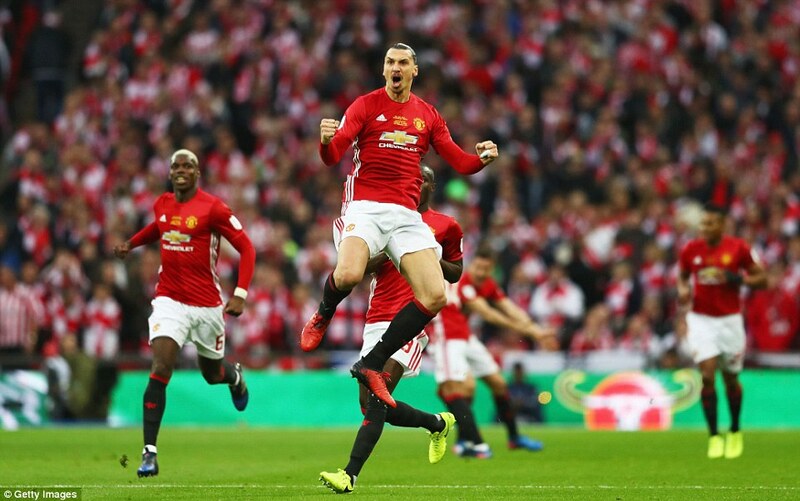 There was never a significant period of the game in which United dominated, but nor was there a moment when Ibrahimovic did not look capable of being the deciding factor. What a player he is. 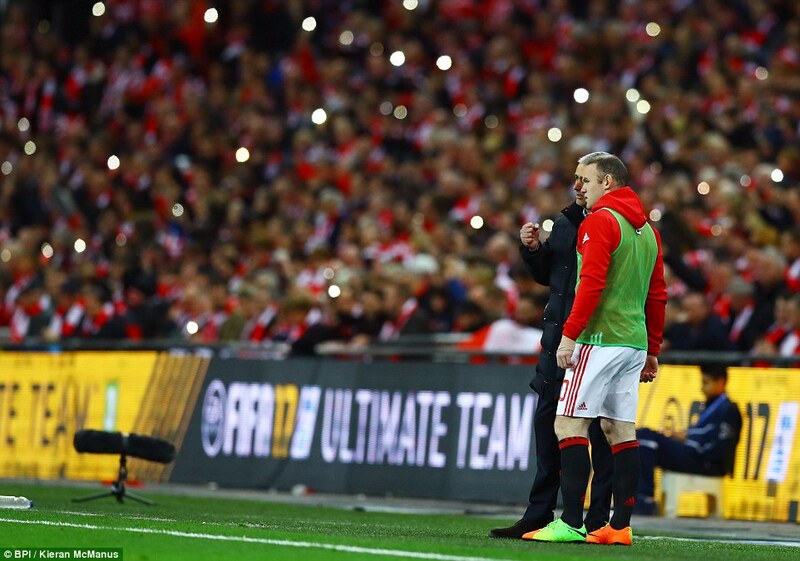 For all his achievements across Europe, it has taken this, a season in the twilight of his career, to convince the sceptics here of his greatness. 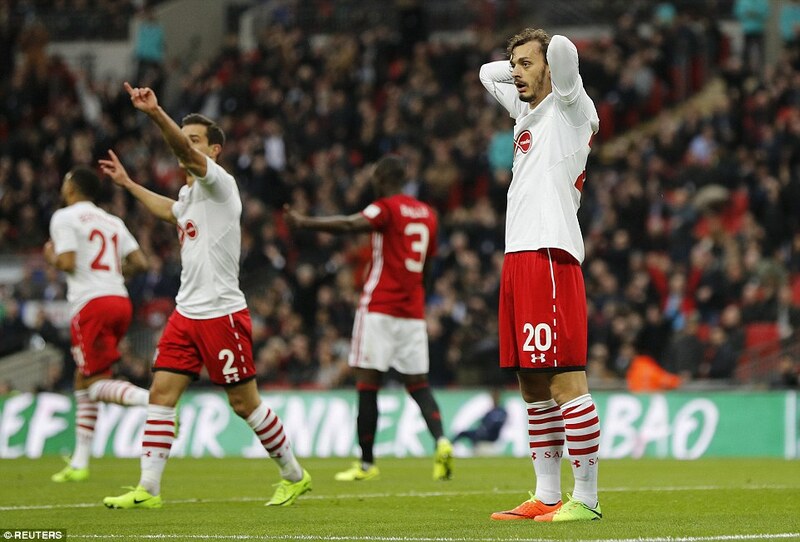 Manolo Gabbiadini scored twice, either side of half-time, as he brought Southampton back into the final. And he is great, make no mistake of that. 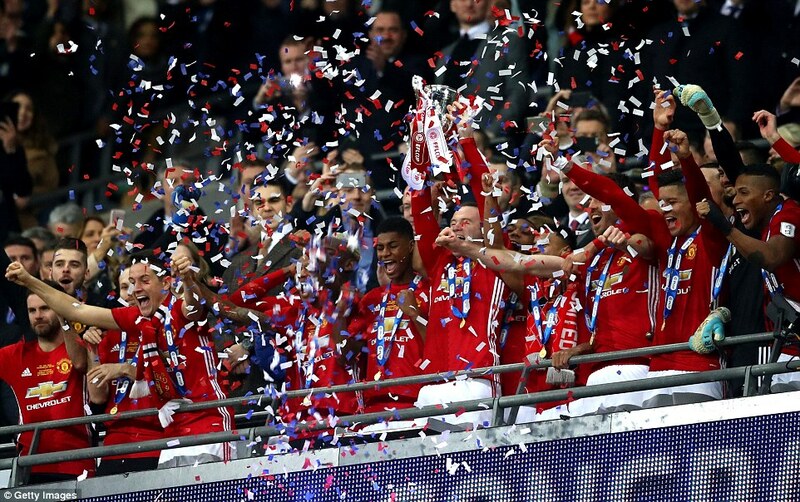 The goal that won this hugely enjoyable final was great, and Ibrahimovic started and finished it. He is a target man in the truest sense of the term, always showing, always available, always offering the out ball. That is what he did as Manchester United broke. He took the ball, knocked it some way ahead to gain distance, but knew he couldn’t win the foot race. So he laid it off. Did Ibrahimovic then sprint into the box? No, he’s too smart for that. He watched United’s build the pressure. Anthony Martial held onto the ball and made progress, gamely. He laid it out to Ander Herrera. Now Ibrahmovic was interested. He had begun his run into the box moments earlier, timing the arrival to perfection to meet a cross with a header that left goalkeeper Fraser Forster no chance. 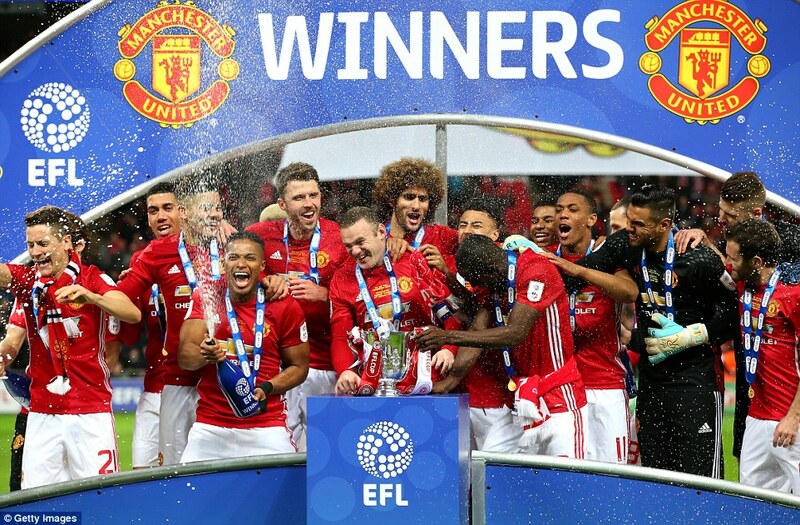 Did United deserve it? Probably not. 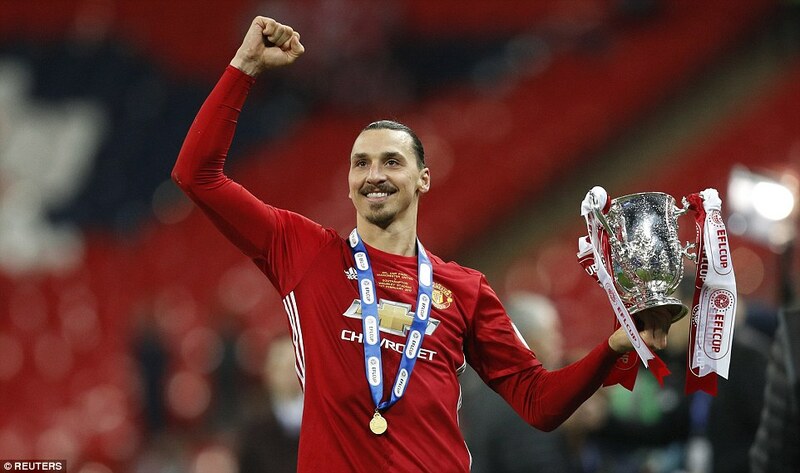 Did Ibrahimovic deserve it? Undoubtedly, yes. He won the man of the match ahead of many more deserving cases from Southampton because, quite simply, that is what he was. 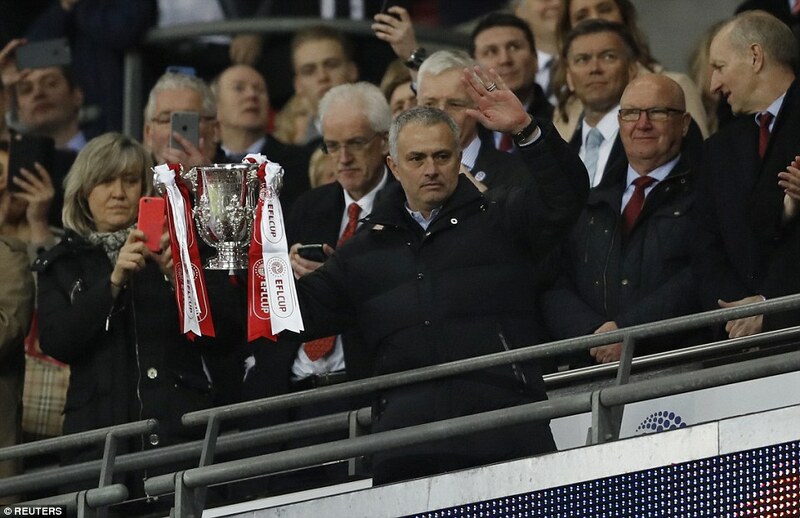 The man of this match – Jose Mourinho’s 11th cup win in 13 finals. 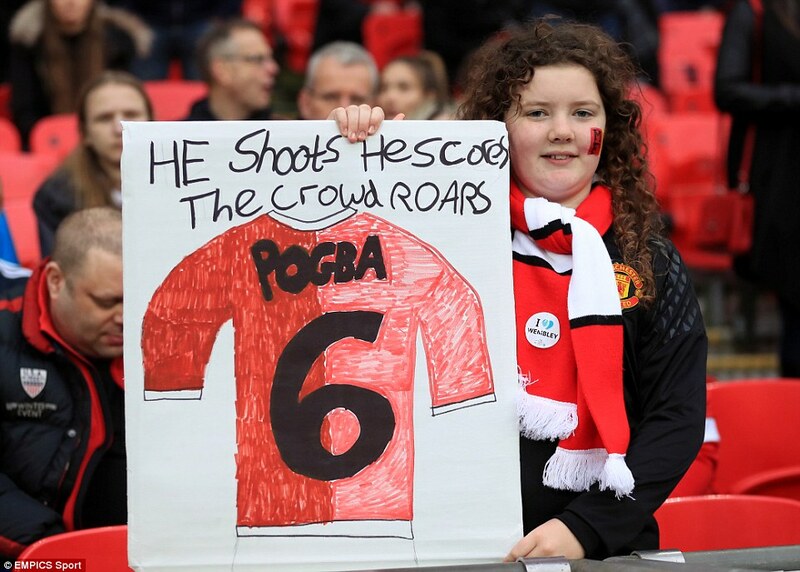 Mourinho said all along that his striker would be a giant success in English football. He knew what he was getting all along. Anyone who didn’t does know. 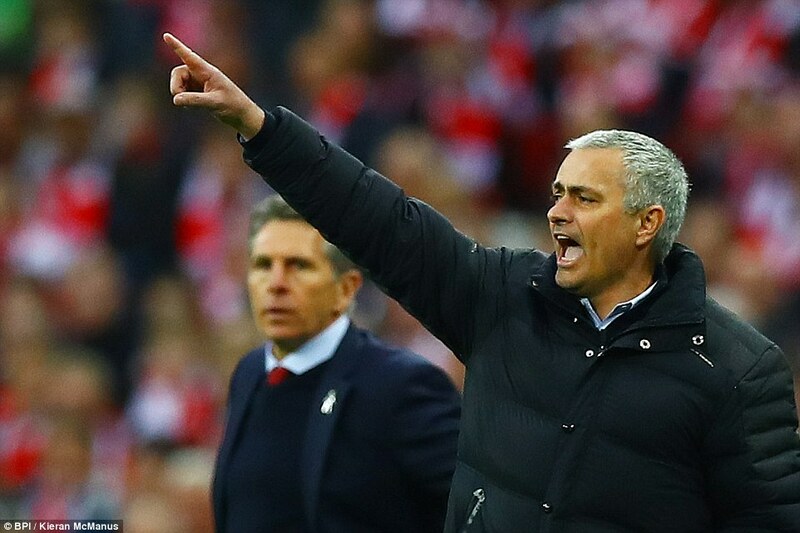 This was so tough on Southampton, but equally tough to begrudge the matchwinner his moment. What a player he is. The new Italian signing shows his dismay as team-mate Cedric Soares protests after the effort was chalked off. 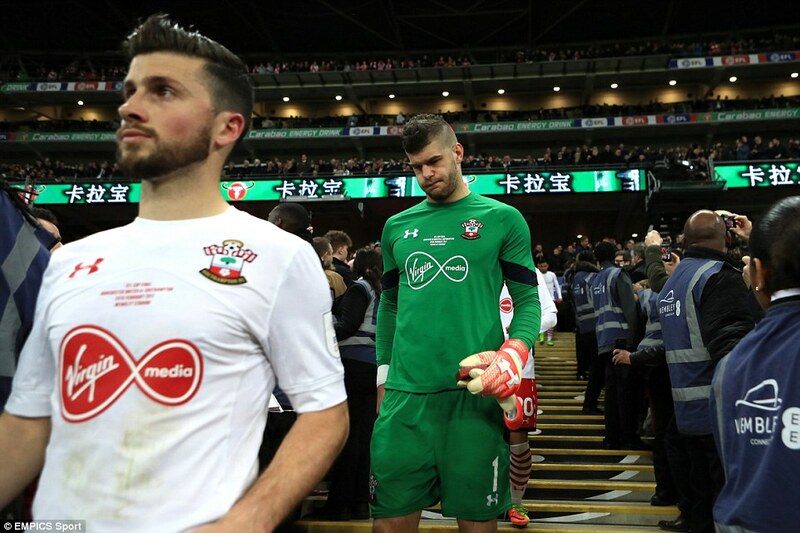 It is to Southampton’s great credit that considering the trio of setbacks they endured in the first-half, they still went in just a single goal behind and with claims to have been the better side. 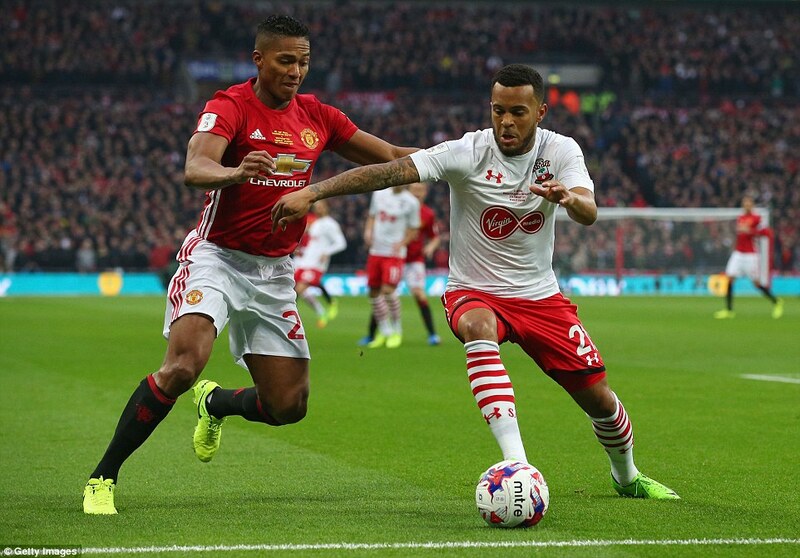 Southampton had the best of the play, but trailed as a result of two moments of sublime individual finishing from Manchester United men. 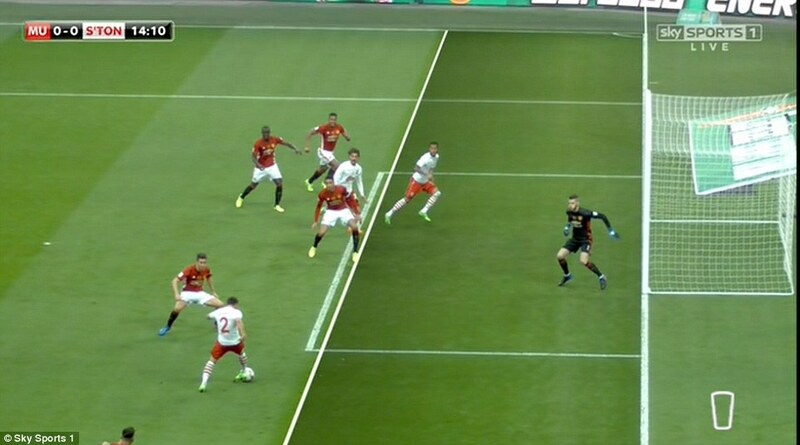 In addition, Southampton had a good goal disallowed by referee Andre Marriner, which would have opened the scoring. 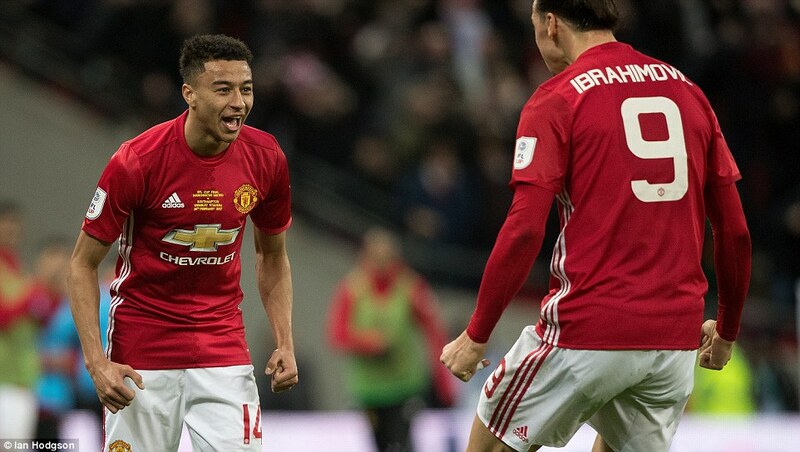 It was a bad break they could ill-afford against a team as well-equipped as Manchester United; on such a grand stage it must have been doubly hard to take. 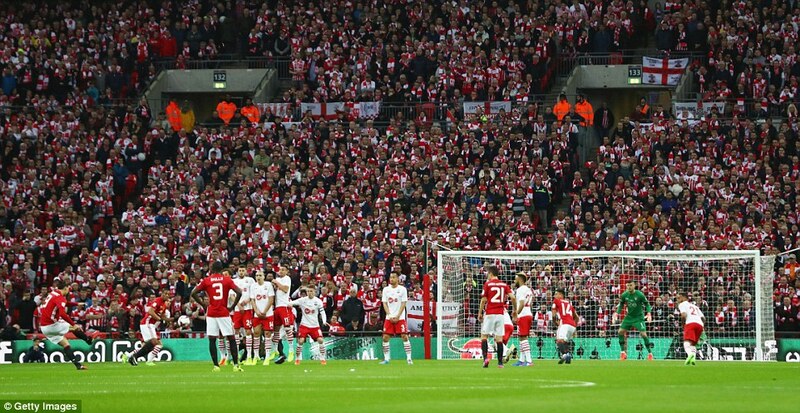 Many teams would have crumbled, but Southampton stayed strong. Credit coach Claude Puel, too, for taking the game to United from the start. There were just two minutes on the clock when Dusan Tadic whipped the ball across the face of goal, unfortunate not to find a team-mate to administer the vital touch. A similar move, getting in behind United, but this time from the opposite flank should have given Southampton the lead after 11 minutes. It was Cedric on the right flank, hitting a low cross which was turned in by impressive new signing Manolo Gabbiadini. A flag was up, but the flag was incorrect. Ryan Bertrand was certainly in an offside position, but he didn’t play the ball. Gabbiadini did, and he came from behind United’s defenders. It should have stood. 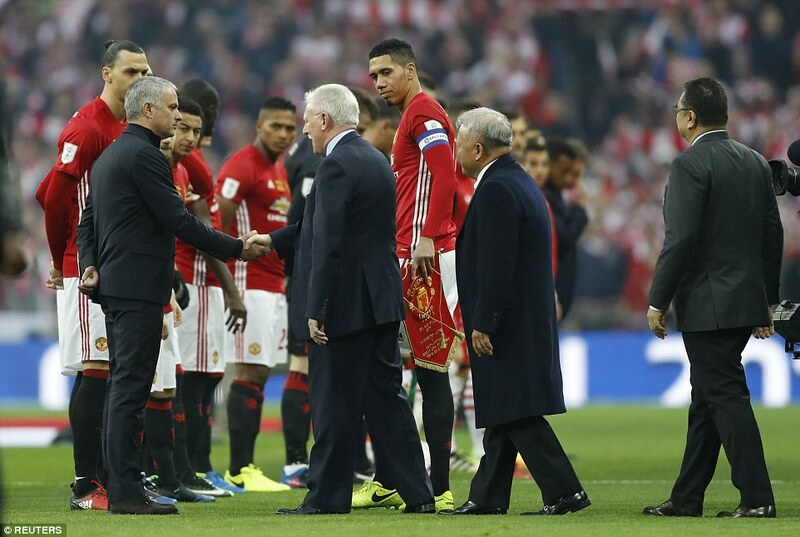 As so often happens in these circumstances, Manchester United made the most of their good fortune. In the 18th minute, Oriol Romeu was booked for a foul on Ander Herrera a good 25 yards from goal. 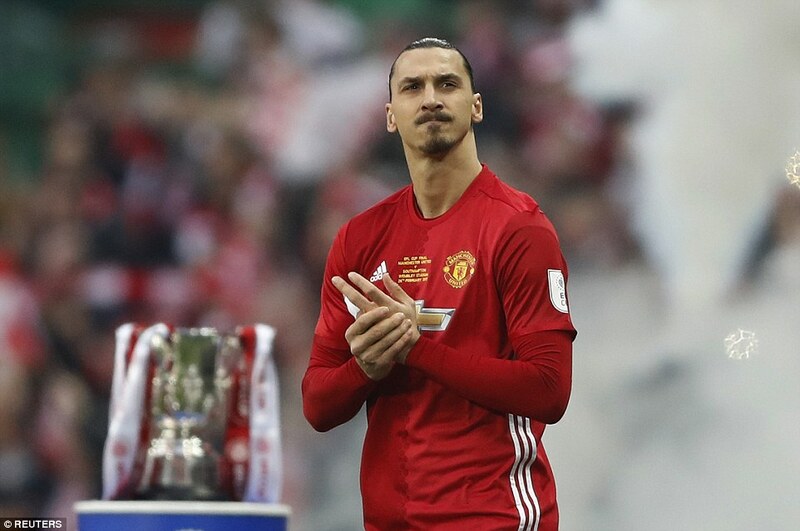 Zlatan Ibrahimovic stood over it, having scored four goals in his last four finals for Paris St Germain. It’s fair to say he enjoys the big stage. 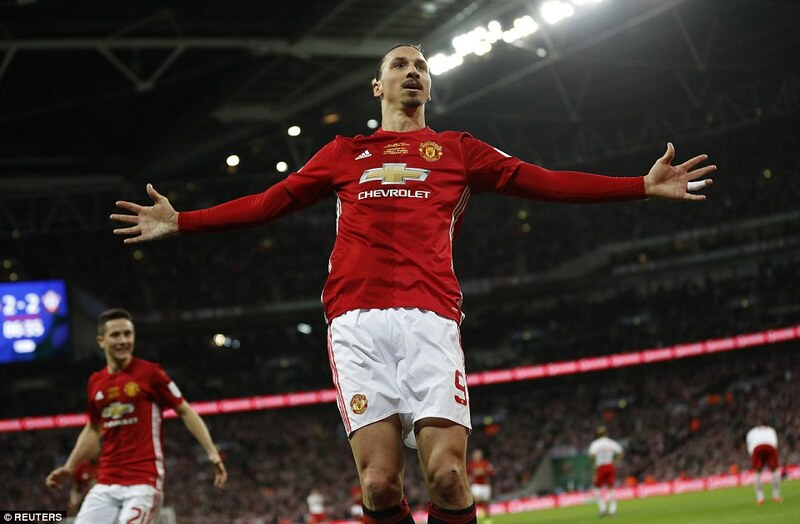 There was only going to be one taker and Ibrahimovic took full advantage of Southampton little errors. Juan Mata stepped out of the wall and left an inviting gap, captain Steven Davis was distracted by this movement and did not jump to block at the vital moment, goalkeeper Fraser Forster seemed slow to react to a ball coming in from an angle he didn’t expect. 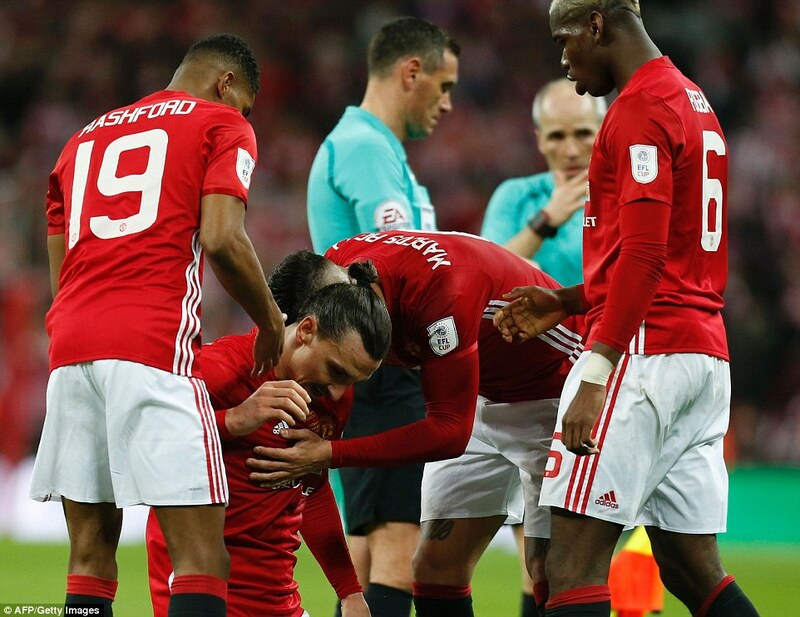 He was beaten to his right, Ibrahimovic’s 25th goal of the season. It was a lovely strike, but Southampton were not at their best to repel it. Still, Southampton pressed. Herrera was booked for a foul on Bertrand, and soon after James Ward-Prowse had a decent shot saved by David Dea Gea. In the 32nd minute, the Manchester United goalkeeper was called on again, this time to keep out Tadic after a Bertrand cross. 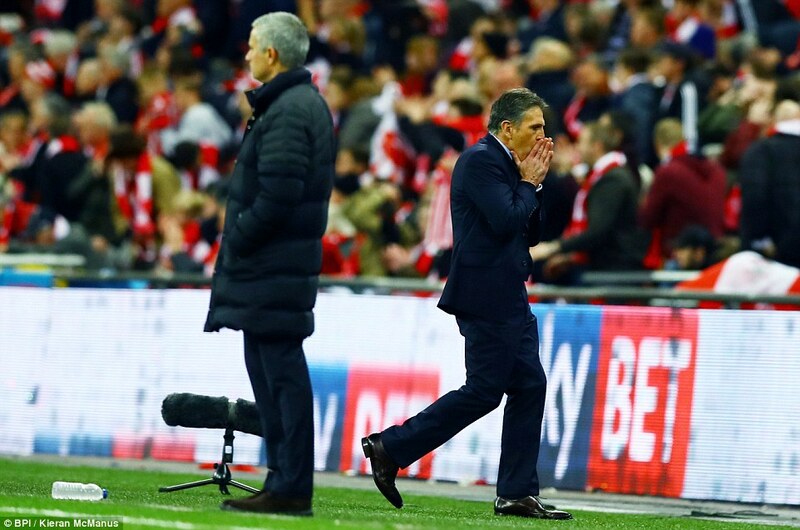 Managers Mourinho and Puel began to show tension on the touchline as the minutes ticked on by at Wembley. And then, once again, it happened. Against the run of play, United went further ahead. It is hard to say that got lucky, however, when a goal is so sweetly taken. 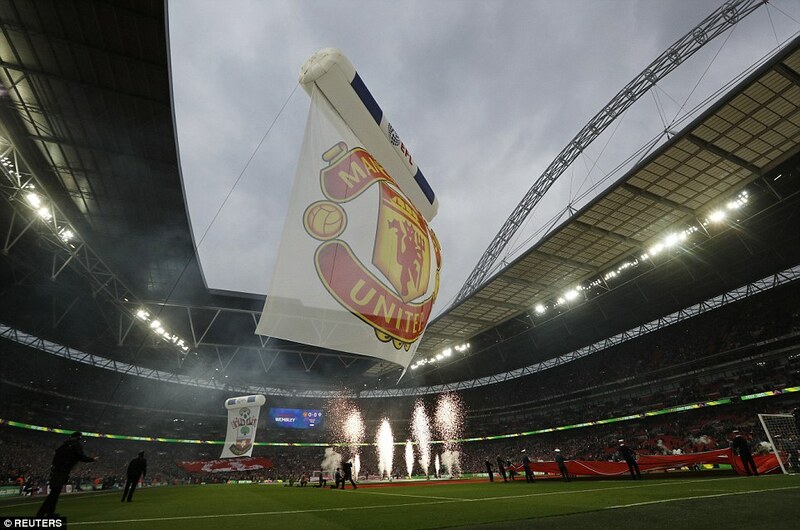 Anthony Martial and Mata were involved in the build up before Marcos Rojo slipped the ball to Jesse Lingard in a central position. 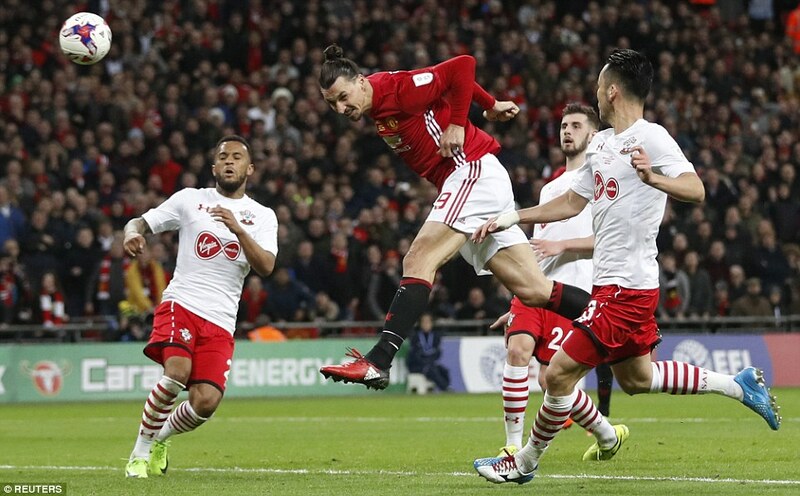 He finished beautifully, passing the ball into the far corner through Southampton legs and then running to Ibrahimovic to share the joy – it is as if he has become the father figure for the younger United players, the way Eric Cantona was to a previous generation. And that should have been it. 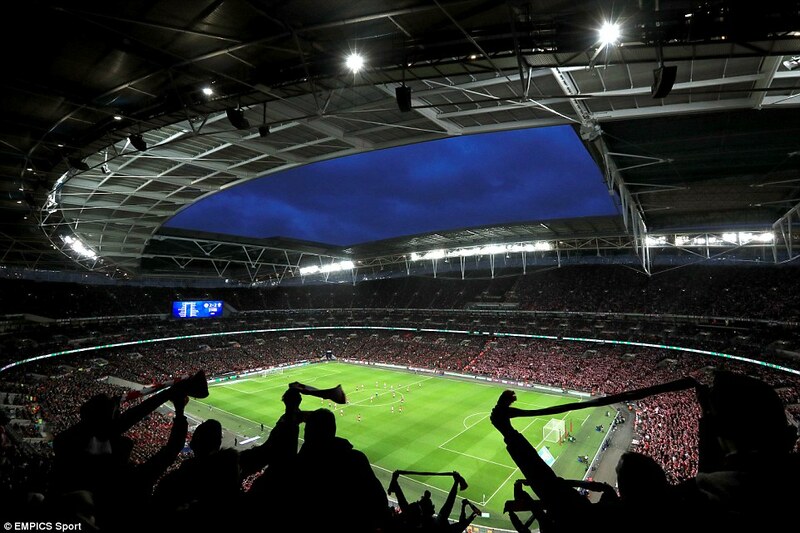 Jack Stephens let his frustration show and was booked for a brutal hit on Martial – as naughty as it can be, without meriting a straight red card – and Southampton could easily have given up, cup final or not. Instead within ten minutes of match time, they were level, and might even have been ahead. The last meaningful attack of the first-half got them back in it. Ward-Prowse crossed and there was Gabbiadini again, timing as perfect as before, but this time getting a fair shake from the linesman. He nipped in front of his markets at the far post and diverted the ball past De Gea who, for once, seemed slow sensing the danger. 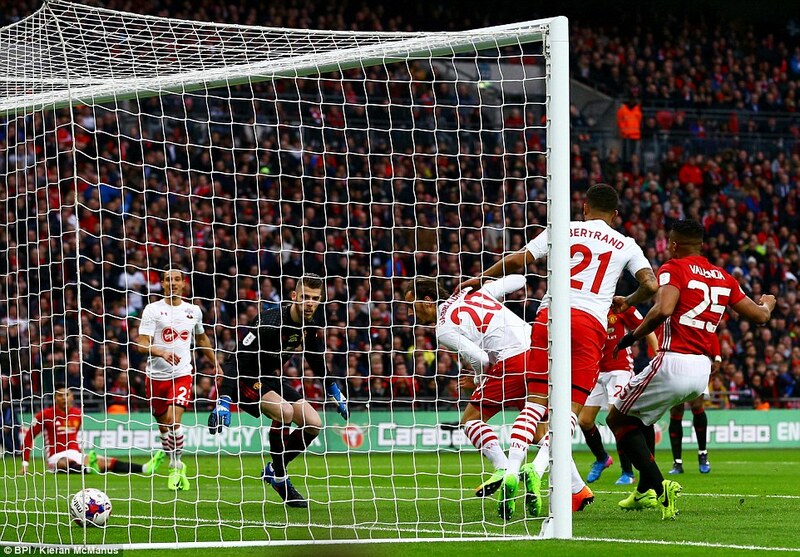 Shortly after the second-half restart, Nathan Redmond had a volley saved – but before the minute was out, Southampton scored again. 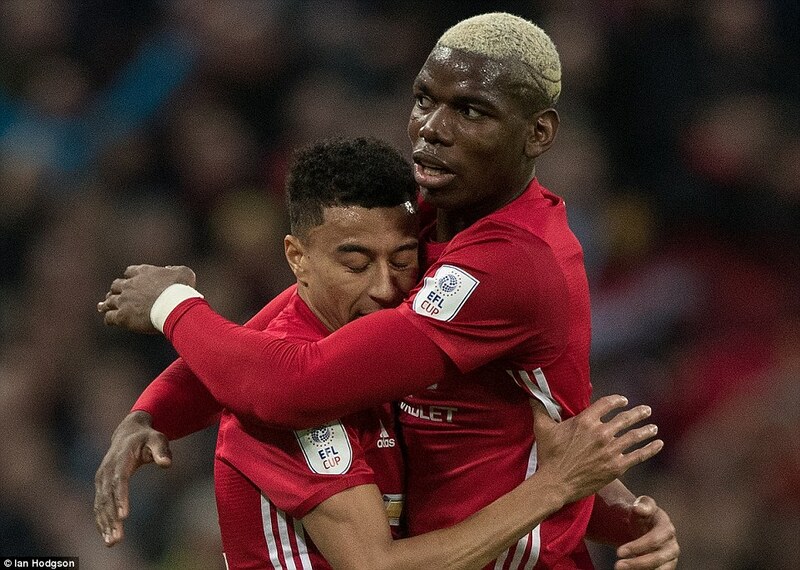 Davis outjumped Martial on the edge of the area to recycle a corner, Paul Pogba missed his header and Gabbiadini’s reactions were sharp and splendid, a shot on the turn to give Southampton the parity they richly deserved. 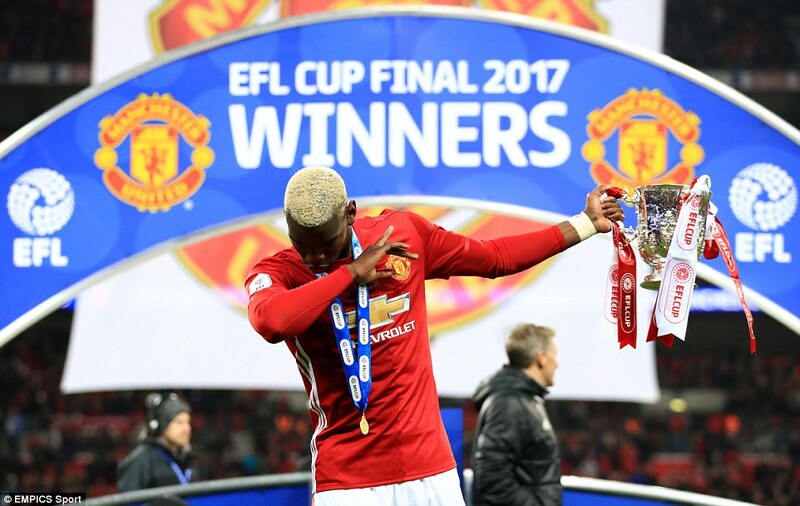 Pogba found the time to bring out his trademark dab as he celebrated with the trophy on the pitch at Wembley.